From Wikipedia: Scratch building is the process of building a scale model "from scratch", ie. from raw materials, rather than building it from a commercial kit, kitbashing or buying it pre-assembled. Kitbashing or model bashing is a practice whereby a new scale model is created by taking pieces out of commercial kits. These pieces may be added to a custom project or to another kit. I can kitbash. I cannot scratchbuild. 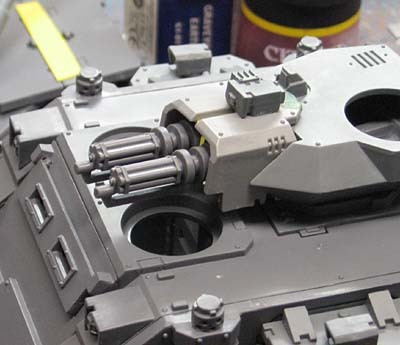 I am jealous of those modelers who are able to scratchbuild. There is no limit to what they can do. 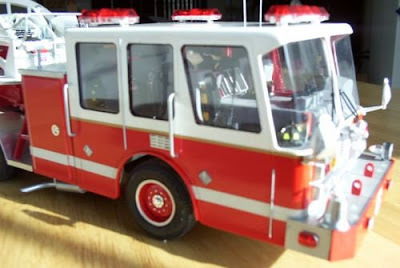 I have a freind who "scratchbuilds" fire engines. All he starts with are the blueprints to the actual fire engine and he works from those. Are you kidding me? He even knows how to roll the plastic for the front windshield to get it to wrap around. What?!? Despite my best efforts to scratchbuild, it is not something I am capable of. I can kitbash though, I have lots of things that I think turned out fairly well for being "kitbashed." But it's taken me three times to finally learn this. I literally had no clue what I was doing... and it showed. At best, my first attempt looked like an Ork looted version of what I was trying to build. I don't even know if Ork players would have used it. My Client ended up having to buy the pieces instead of me converting them. Who am I kidding, you would have thought I would have learned by now. I gave it a go, but I just don't have the knack for it. It eludes me. Fortunately, my Client gave me enough bits that I could pull this one off too with some degree of success. Perhaps one day I will meet someone who can show me the art of scratchbuilding. I'm sure it will be (or have been) an Ork player because I see the skill being absolutely essential for Orks. Until then, I will have to settle with kitbashing which means I'll need to keep my bits box stocked with all kinds of parts. Anyone got any bits they're looking to unload? I'm in the market as they say. I am a HUGE fan of kit bashing. It is a skill that is just as valuable as scratch building, or painting. It takes insight into what is available to you and what you can turn it into. Plastic Card is a hell of cheaper and easier to digest when you make a mistake. Ruining a $50 model in a kit-bashing accident can shake the devotion right out of an Inquisitor. I am constantly on the look out for what I can scavenge and what I can use from other models, whether they are 40k, Fantasy, other war games, toys to tissue paper. Do not sell yourself sort as you have a skill that other envy to have. Tyranid stuff is far easier to scratchbuild than Imperial. My Tervigon was the first thing on which I've had to do some major scratchbuilding (the entire thing is about half scratchbuilt and half kitbashed), and I daresay it turned out pretty good. I think you should give a Tyranid conversion a shot. I like kitbashing but in general only for things that you cannot just buy. 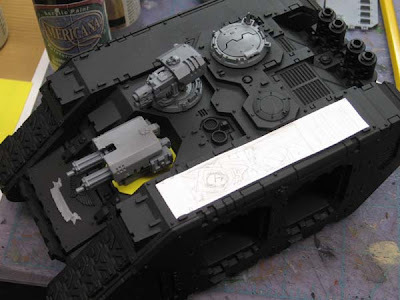 If you have the spare parts that is one thing but once you start adding in the costs of the extra parts your savings over just buying the model start to get cut into. Plus when you buy the new kit you get more bits for future projects. HAHA... Scratch-building is a nightmare, but I much like anything the only way to get good at it is to keep doing it. I am a Kitbasher for sure, I like you have no clue how to even attempt a scratchbuilt vehicle but I can toss a few bits around and make something look interesting for sure! 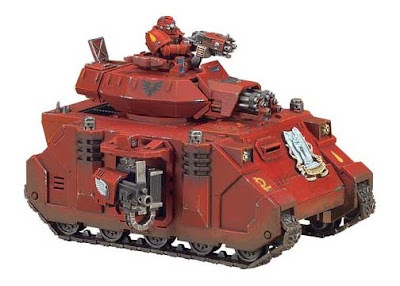 Was just looking at what you get in the new Baal kit and it seems that you get less spures then in the normal kit as they combined essentially the turret, sponson, and add ons into 1 spure instead of 3 but are charging 20% more. Like all Ork players, i'm a kitbasher at heart, but i've been trying some scratch-building for my Blood Pact and you need the patience of a saint. I suppose it helps being an art and design student, as i have to desing and build stuff every single day of my life, but scratch-building is still frustrating. I'd say that I do a mix of the two -- I usually end up scratch-building some components to enable the kit-bash. A part of it is realizing which parts can be bashed, and which need to be scratched. I think that the key to successful scratch-building is to carefully plan out the pieces in all 3 dimensions, making templates etc. I swear if I hear the words "epic fail" again, I'm going to start beating someone with a shovel. HAHA the Anonymous poster makes me laugh. Ron: there are four things you need for any serious scratch building. Tools, Materials, Patience and Practice. It can be difficult to combine all of them, especially with alot of commissions being on a short time frame. One thing I can recommend for for vehicle scratch building is some CAD software. That way you can design it without wasting materials and when you are happy you have all the sizes you need planned out. 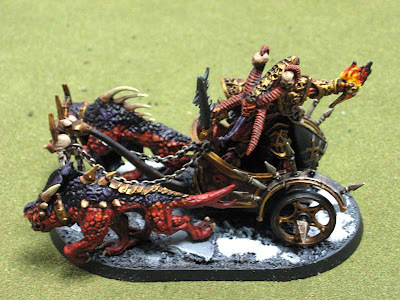 For stuff like nids and chaos kit-bashing combined with sculpting is the way to go. The best way to get into practising scratch building is terrain. Especially Ork terrain as it should look ramshackle anyway. But any terrain is good to practice on. I have found that if you are out and about take a snapshot of buildings and stuff you find interesting, construction wise, can give you a good starting point for terrain too. Anyhow now that I have internet at home again feel free to pop me any questions. Although I used the ravenwing assault cannons (I had nine pairs laying around from the bike army I did a while back) They are smaller, but to be honest, I prefer them over the incredibly large cannons, it gives the predators a little bit more sleek look. I also have them on my razorbacks, and I actually prefer them as well. Kit bashing is fun and helps keep with the 40k theme without much hassle. The biggest problem with a scratchbuild is the amount of time you need to invest. Something many of us can't afford, being mini Forge Worlds! "All he starts with are the blueprints to the actual fire engine and he works from those." If you can draw this kind of things in a computer program or something and then use the blueprints as templates for the plasticard, then you can scratchbuild. Maybe you should try papercraft models to get a starting point, they're actually close to scratchbuilding, and it's cheaper than anything else I can think of.